I'll start off by saying that this was not a great run for me. First run with the blumats and they proved to be shite I ended up hand watering thru the lass half of flower. They grew without a hitch despite the issues. The first one was topped in a 5 gal pot and the second was left alone in a 3 gal. Some pretty heavy pruning was done in veg to fit the space so ultimately the untrained one yielded more than the topped one. The developed monster buds that just kept packing on weight up until the chop. Earthy, piney aromas came from both as the finished up but have their own signature scent to them. In the jar the have a creamy earthy aroma with hints of pine and spices. The taste is very much the same, smooth and cream like with a spicey punch. The buds are rocks and the bag appeal is top notch. The high is indica like offering a solid head high with a sedative body buzz and increasing appetite. The yields were solid at 105g and 115g dry. The one downfall is that the buds are so big that they can be susceptible to mold or mildew if you don't keep the RH% down towards the end of flower. This is an interesting strain I am excited to find out what it is and the lineage. Will be back in 7-10 days with weight of mini mainline. Thanks for following and to Fastbuds for making me a tester. Update: mainlined one dry weight was 75g, same as the first 2 but closer to #1 in bud structure. Out of the 3 I grew this has proven to be very consistent. 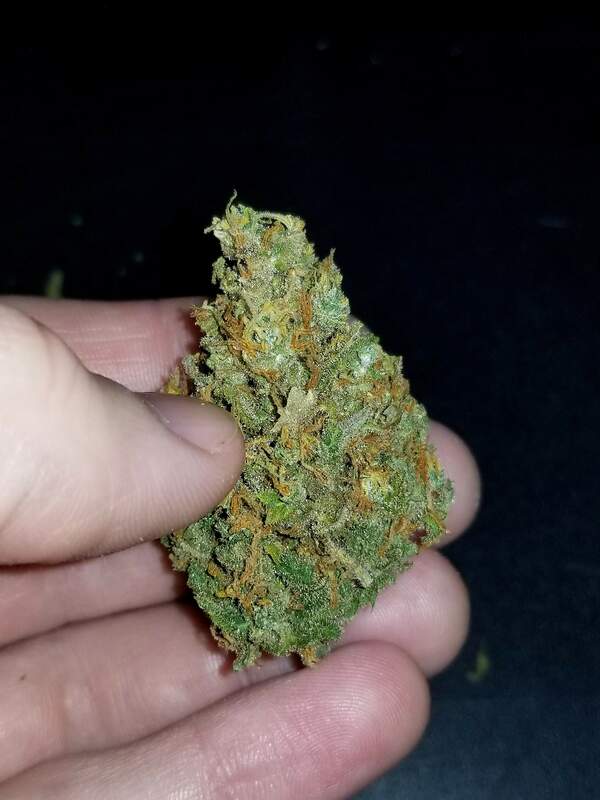 I warn you to be careful of mold and mildew with this one as the buds are so fat of you dont keep humidity down second half of flower you will end up with mold of some kind. The mainlined one suffered from it but I caught it while it was just developing on the left main cola and it was just a tiny white fuzz, no other buds were affected. @DudeGrowsWeed, thank you dude me to! Congrats on the harvest big dawg! She’s a nasty girl! You any idea what this is yet bro? great grow mate! I saw several nice results with this strain, Zkittles.... seems to be the new trend. Congratulation!